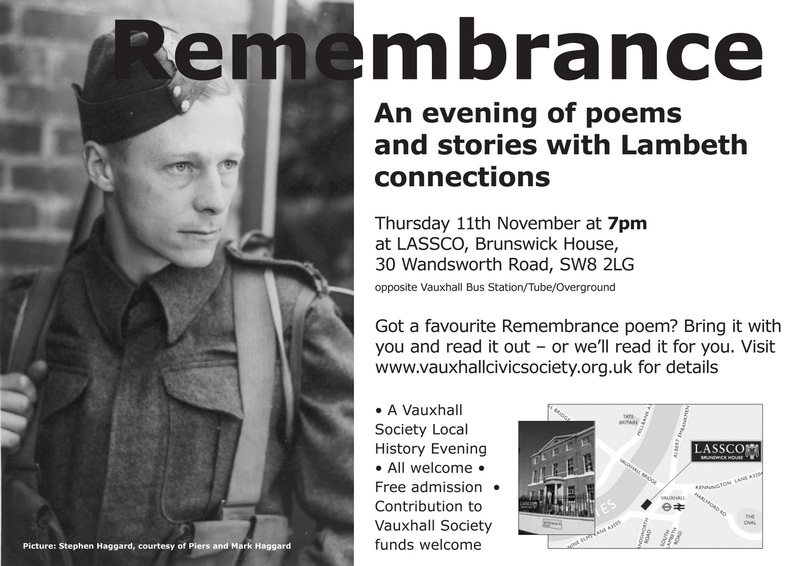 The Vauxhall Society is holding a Remembrance Evening on 11 November (see flier above) at LASSCO, Brunswick House, 30 Wandsworth Road, SW8 2LG. The building is the 18th C mansion next to St George's Wharf. 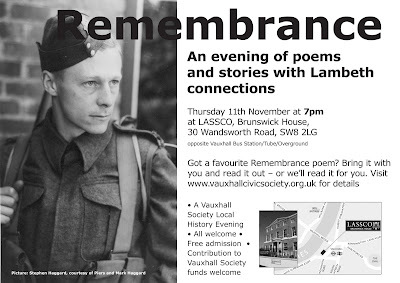 The event is free and all are welcome, though contributions to the Vauxhall Society woudl be appreciated. Speakers will include Naomi Klein who has written a history of the Stockwell war memorial. You are invited to bring your favourite Remembrance poem to read out, or it can be read for you. Please email vauxhallcs@gmail.com with your choice. The picture on the flier is of actor and poet Stephen Haggard who died in 1943.